This is to inform you that Ms. Nicole Norden Y1N will be going on maternity leave starting on 3 May 2019. Barring any complications, she will return to KIS in the next academic year. In her absence, our regular substitute teacher, Ms. Rhoda Liu, will be teaching her class. Ms. Liu is a Edb registered and certified teacher and will carry out the lesson plans which have already been planned by Ms. Norden. 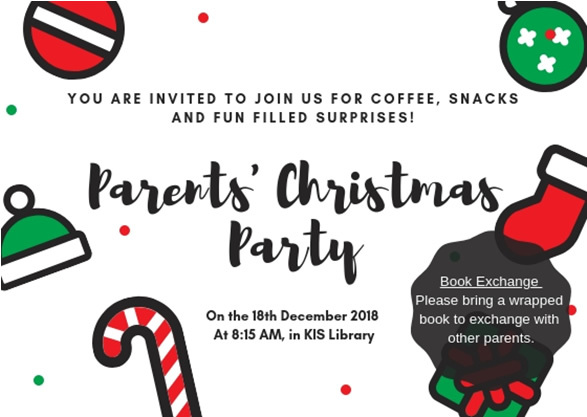 She also has Ms. Norden’s contact information and will work closely with her and the Year One Team for your child's final report card and class promotion. Ms. Liu will be coming to school this Friday, 12th April to meet the students and become familiar with the class routines. Ms. Norden will be happy to continue to receive messages during her maternity leave. If you have any questions, comments or maybe a congratulatory message, please feel free to leave her a message by the Class Dojo or her official school email. Martha Keswick is the author of the popular bilingual Max and Mei picture book series, and the action-packed Pangu comic book series. 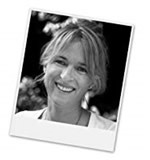 Her keen interest in Chinese culture and the Chinese language led Martha to complete an intensive Mandarin course at the National University of Singapore in 2002. 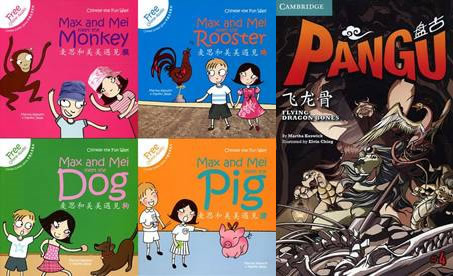 In 2007, eager to share her love for learning Chinese with her young children - but at the same time frustrated by the scarcity of bilingual storybooks appropriate for children learning Chinese as a second language - Martha was inspired to create the Max and Mei Chinese Zodiac Series. Based on the real-life experiences of her eldest son and his Chinese best friend, the Max and Mei stories have captured the interest and imagination of children around the world ever since. The staff, students and leadership team have the pleasure of inviting you to our IGCSE and A-Level Options Evening on Tuesday 19th March in the gym at 5:30pm to 7pm. We expect this evening to provide you and your son or daughter with an excellent opportunity to find out more about the developing pathways to success in a UK curriculum school from Y9 onwards. This evening contains an appreciation of Cambridge’s approach to teaching and learning – and represents its approach to working towards the future for young people. Cambridge International Examinations is the only global provider of international qualifications that is completely owned by a world-leading university – the University of Cambridge. They are a non-profit organisation and devote all their resources to education. We will explore and explain how the UK curriculum provides a diverse range of subjects, helping students to develop their own strengths and interests while nurturing an informed curiosity and building a lasting passion for learning. When passion and talent combine, students’ potential is fully unlocked. We will also mention our new subject which fall in line with our vision of the future and compliments our school mission statement of; ‘find passion, foster vision, encourage action’. The IGCSE and A-Level qualifications are widely recognised by the world’s best universities, and supports students entry into leading universities worldwide including the UK, HK, USA & Australia. Learn about how we start our IGCSE programme how it progresses into A-Level to University. Learn more about the great choices/options we offer at IGCSE and how best to maximize your son or daughter’s pathway to success. We are excited to announce our Secondary Sports Day! 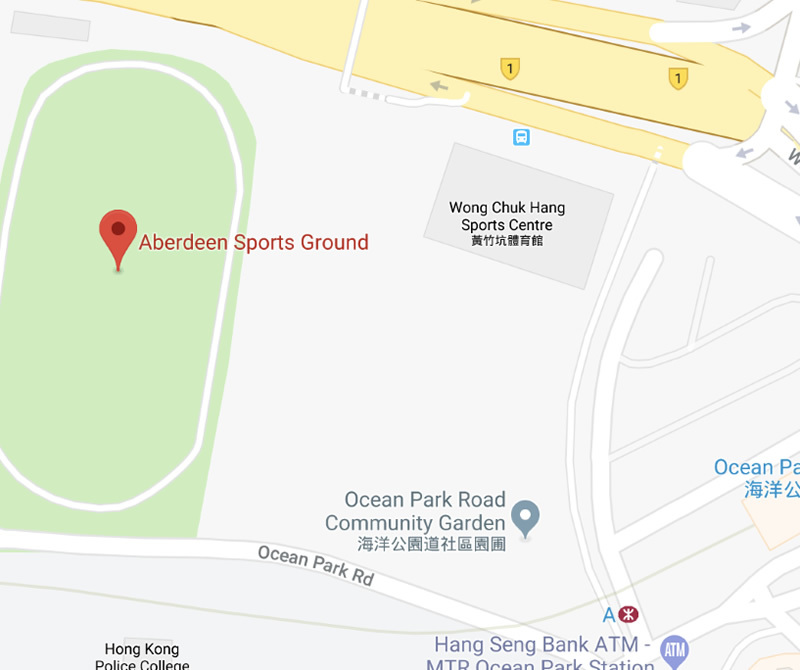 Sports Day will take place 1st April 2019 at Aberdeen Sports Ground from 9:00am to 3:00pm. All students will meet directly at the venue and should register with their tutor upon arrival. Students are required to dress in their house shirts (Apollo/ Artemis) and KIS PE kit (Trainers, shorts, optional track suit). Your child has been sent a Google Form in preparation of Sports Day and is required to submit their preferred choice of events. Unfortunately, due to an increased student body and subsequent time constraints, students cannot participate in all events. Students are required to select ONE Throw; ONE Jump; ONE Run event; with an additional option to compete in the team relay event (This event is not guaranteed; PE staff will make the final team selection). Choices must be submitted by 22nd March, late entries or changes will not be accepted, and students that do not submit their choices will be allocated events. Additionally, whole school events have been scheduled for the afternoon, focusing on the joy of participation, such as tug-o-war and staff-student races. In the event of typhoon or amber rain, the school will make an announcement and contact students to cancel. In the event of rain Sports Day will continue. If you have any further questions or queries, please feel free to contact us. After a delicious lunch is the best time to relax and listen to some wonderful tales in the library! 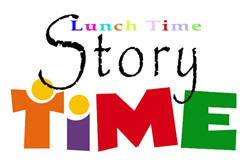 A scheduled story time is allocated for every classes in lower primary. Students will be listening to the read aloud stories from the battle of the books list. 12:30 – 12:35 Student librarians will bring the students back to their classroom. Please visit school website for general information. The International Section, in solidarity with the Korean Section, will commemorate the 100 year anniversary of Korean Independence ‘Samil Independence Movement’ on March 1 2019 with an internal ceremony/assembly in the School Gym with the Korean Government representatives in attendance. To mark this special occasion, the school will close for half day from 12.00 p.m. The School Bus Company, Canteen Operator have already been informed about this. We ask for your understanding as we observe this important moment in Korean history. Please make arrangements for your children to be picked up from school by 12.00 p.m, if they are not taking the school bus. We will aim to make up for the half day on 27th June 2019. The Early Years Sports Day for Y1 and Reception will still carry on at Quarry Bay Phase 2. A separate email with details on transportation, will be sent to parents shortly. We will be having a Poetry Workshop for Primary and Secondary students on Feb 20 and 22. 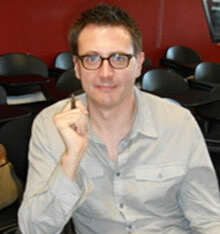 Blair Reeve began writing poetry in 1989, then began performing poetry in 1995. He continued to write sporadically until the mid 2000s when he completed a second bachelor's degree in English and Japanese. He had stories published in The Font, Soundings and Asia Literary Review. He has had poems published in Asian Cha among many other journals. He completed an MFA at the City University of Hong Kong in 2014. In November 2015 he published his first book for children, Hogart the Hedgehog Turns Nink. In September 2016 he published his second, another in anapestic rhyming verse, Greta von Gerbil & Her Really Large Lexicon. Please note that there will be no library classes on these days. We would like to assure you that we will carry on with the ECA programme, even with the EDB mandated closure of our Reception Classes. All precautionary measures will be taken to prevent the spread of Influenza A and we will advise our facilitators to put on masks / sanitize equipment. We would also like to remind parents not to send children to ECAs if they are showing any flu symptoms. More details will be send to you via email. We have received word from the EDB that the Chinese New Year Holidays for our Reception Class would be advanced to 26 Jan 2019. to curb the spread of Influenza A. More specific details will be released in an email to you today. Thank you for your support and patience in advance. We would like to invite you to our Primary Lunar New Year Assembly, which will be held on 29th January 2019, Tuesday at 08:30 am in the School Gym. This will be an unforgettable experience for the KIS Community as there will be Lion and Dragon Dances, Songs, Chinese Traditional Instrumental Performances performed to usher in the Year of the Pig! We would be very grateful if you could dig into your wardrobe to dress your child in Chinese or Korean traditional clothes on that day. If you don’t have any Chinese/Korean traditional clothes, please let them wear something red or yellow to school to guarantee them good luck for the New Year! Starting the school day ready to learn — by eating a good breakfast — is the first step toward academic success. KIS is mindful of this and has launched the breakfast menu starting from the 7th of January. 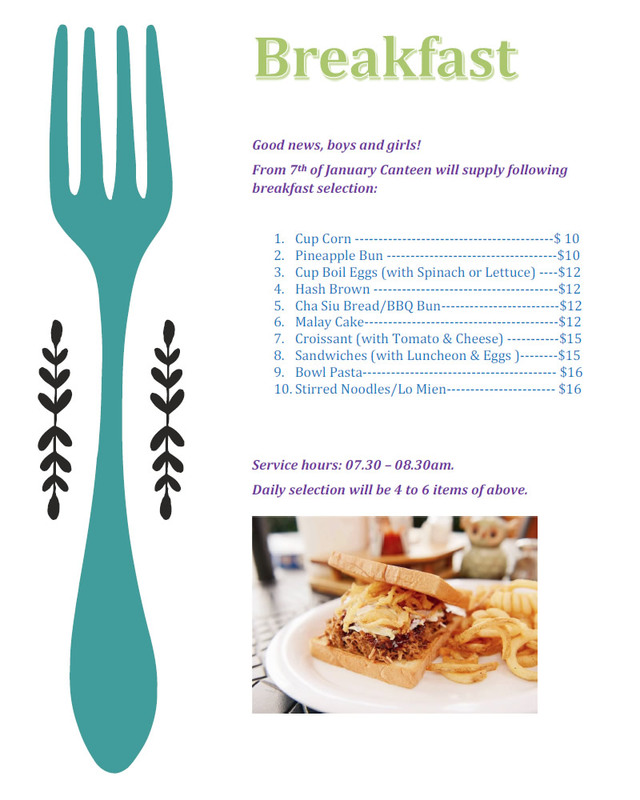 Breakfast will now be available in the school canteen from 7.30am to 8.30am. The breakfast menu is attached for your information. The Korean International School is pleased to continue its support of ImpactHK - a registered charity that supports the homeless community in Hong Kong. The Charity Committee is excited to work with ImpactHK to support our local Sai Wan Ho homeless community, as well as, the Hong Kong area as a whole. The Charity Committee respectfully requests your help in supporting ImpactHK by the collection of plastic bags and the donation of pillowcases. These will be recycled and recreated into mats and pillows for the homeless community in Sai Wan Ho. The collection period of plastic bags and pillowcases will be from Monday 14th January 2019 to Thursday 31st January 2019 and the creation phase will start in February after the Chinese New Year holidays. The project is expected to be completed by Monday 25th February 2019. Homeroom teachers: Kindly help to store all plastic bags and pillowcases for the time being. Willie will make arrangements to collect them at the end of the month.